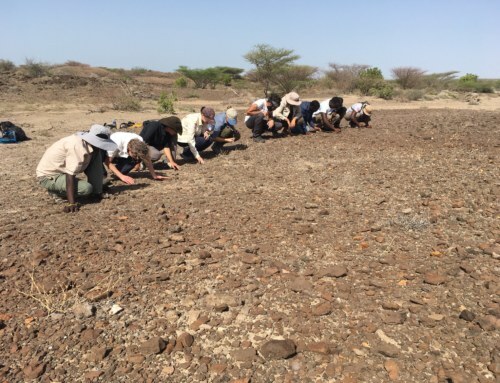 The TBI Field School is situated in a broad and arid steppe, inhabited by Turkana pastoralists thought to have arrived in the last 300-400 years. The Turkana raise cattle, sheep, goats and camels, and are traditionally mobile, following rain and pasture with their herds. 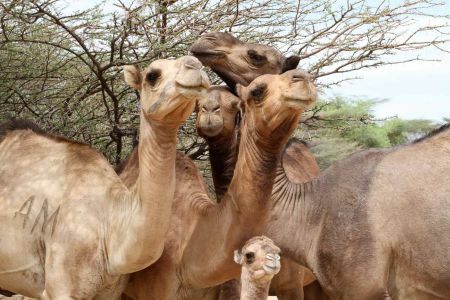 To differentiate the valuable herds or flocks of different families, the Turkana will often use branding symbols inherited from their fathers, or clans. Curiously, some of the symbols used by the Turkana for branding also appear on ancient structures built long before the Turkana arrived. 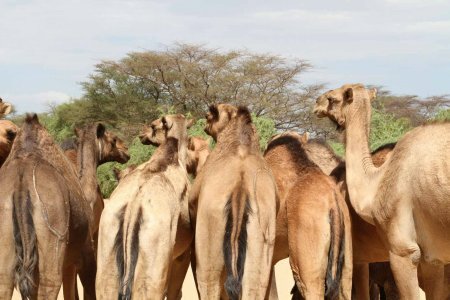 To investigate this mystery, Veronica Waweru and TBI students visited a local camel herder of the Nachichechok clan, to ask about the meaning of his branding symbols. 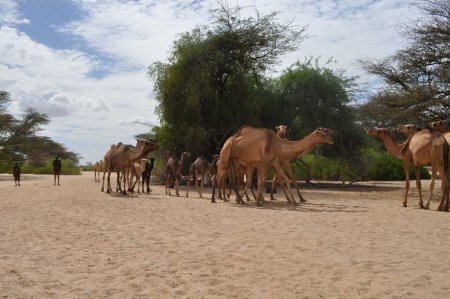 Camels of the Nachichechok Clan, these owned by Maitan, browsing South of the TBI Turkwel camp. 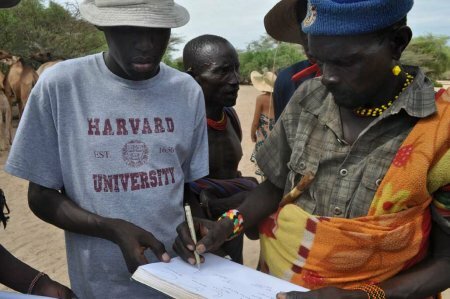 Nachichechok, in Turkana, means “inciting:” locals say that the Nachichechok clan was once fearsome and powerful, though clan members insist that in modern times they and others want only peace, and prosperity for their flocks. A local camel herder, Maitan, agreed to show TBI students a number of his camels and the brands he or others use to identify them. Maitan and other herders are intensely invested in their animals, who are their sources of livelihood and also the means by which they gauge their wealth. 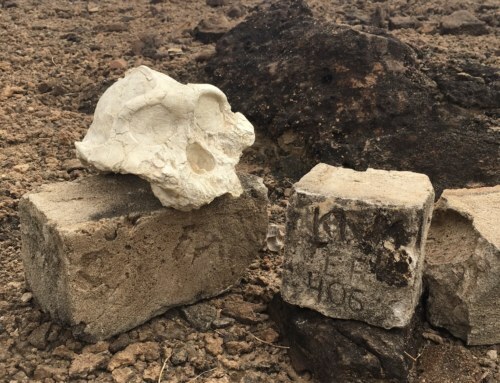 When TBI students found him and his camels, Maitan began explaining their importance, and the meanings of the symbols with which they’re branded. 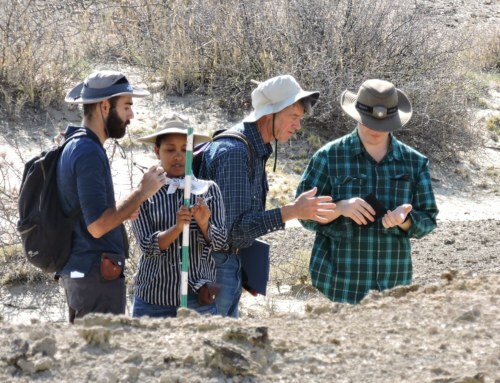 TBI students and staff take notes as Maitan's camels eye them warily. Camels are relatively friendly towards people, but can become nervous when they encounter individuals they do not know. 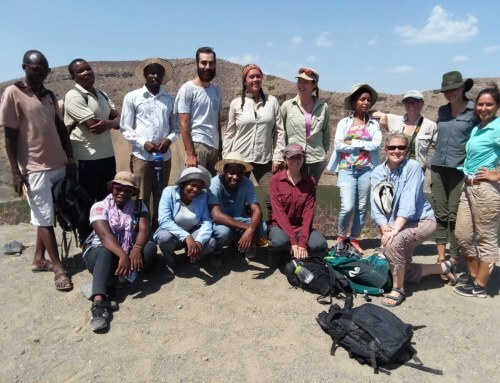 Our whole group, taking photographs and notes, made the camels cluster together anxiously. 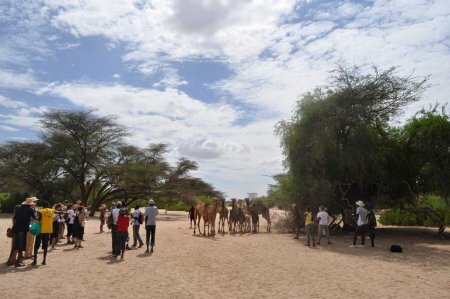 A second group of camels arrives and joins with the first. 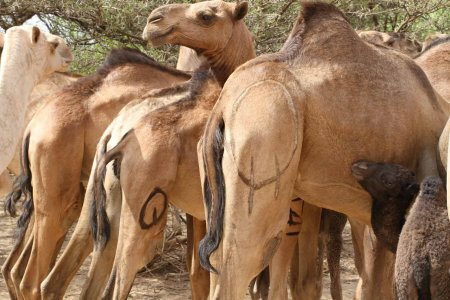 Branded symbols on the flanks of Nachichechok camels. The symbols drawn above indicate that these camels, owned my Maitan, appertain more generally to the Nachichechok clan of which Maitan is a part. 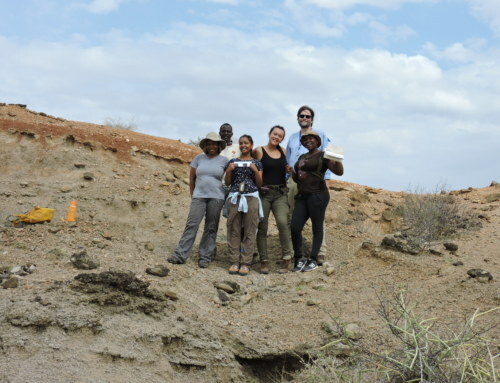 Some of the symbols used by Turkana in this region are also present on Namoratunga, or ancient rock pillars, built thousands of years before the Turkana arrive. Maitan explained that his symbols were passed on from his father, but did not know their ultimate origin. Camels turn their backsides to the camera. Johnmark Ekeno translates on the left as Maitan, the camel herder, illustrates the other clan symbols used in the region. Camels arch their long necks as they watch, with trepidation and some curiosity, the students who've come to see them.